This template can be used for many things, but it truly shines in one specific area. 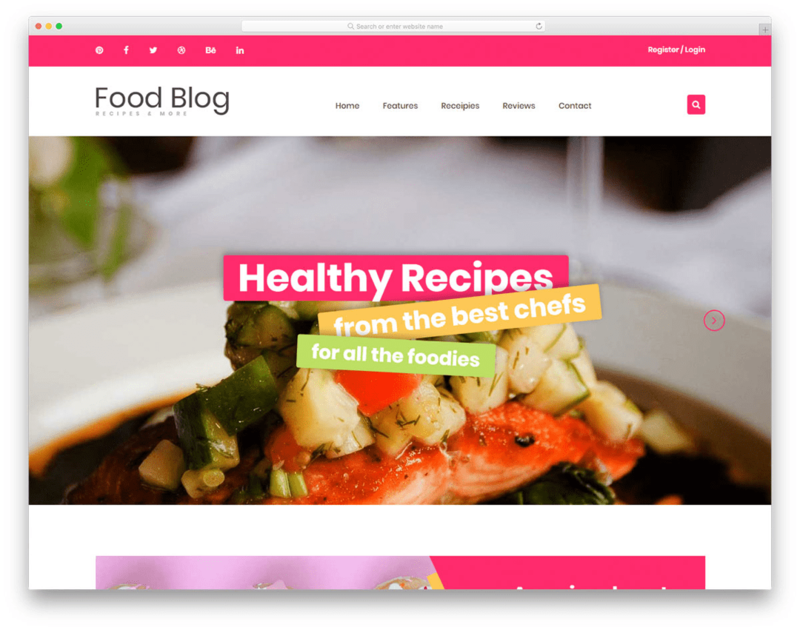 If you want a nearly unbeatable platform for hosting recipes, Foodblog is the right template for you. This canvas is built specifically with this picture in mind, and it does show. With Foodblog you can decide how you want to highlight all the most important parts of your delicious creations. Upload pictures, other content, make available a rating system and go beyond! Build a community around your hobby or profession. No one will be able to resist a beautiful, full-width slider, animated text, optimization for fast loading and more! This template is made to be smooth, minimal and let your content shine. Sometimes less is indeed more!